As consumers search for healthier alternatives to their favorite foods, frozen food producers and grocery retailers are taking note. Although virtually all households purchase frozen food–spending nearly a collective $57 billion annually–consumers may not be aware of the full range of healthy products now available to them. Grocery retailers sell more frozen entrees than any other category, resulting in more than $9 billion in revenue. But retailers also notice that many shoppers return to the same few frozen products without stopping to explore new and emerging items. Walmart recently began a three-year campaign to redesign its frozen aisles in an effort to draw more attention to its new frozen food offerings. On-trend healthy products like cauliflower crust pizza, paleo entree options, organic items, and low-calorie ice cream bridge the divide between the health benefits of fresh foods and the convenience of frozen items, winning over customers who might not normally purchase processed foods. Walmart has also hinted that it might eventually integrate frozen foods alongside fresh options, increasing consumers’ awareness of the store’s full range of products. 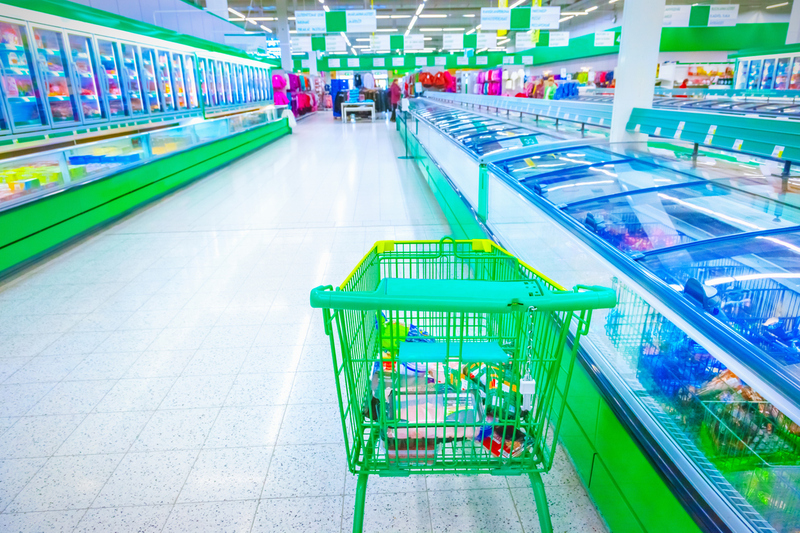 By breaking frozen foods out of the separate freezer aisle, stores can increase shoppers’ chances of spontaneously discovering and purchasing a new product. As retailers deploy new strategies to attract shoppers to the frozen aisle, other categories of frozen foods are growing. Soups and side dishes are the fastest growing category of frozen items, followed by appetizers and snack rolls in second place and breakfast foods in third. The frozen food industry continues to evolve and retailers are finding new ways to catch the attention of their shoppers.